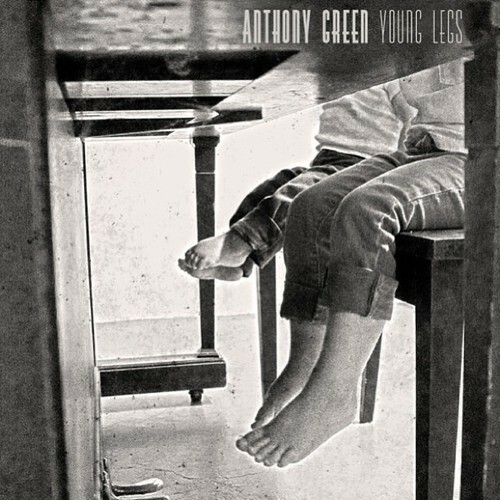 Anthony Green has come out with his newest solo album, Young Legs. The Circa Survive frontman’s newest solo album reaches into an indie rock aura, with vibrant hooks and powerful lyrics. Young legs has a very ethereal and calming vibe, as well as many songs having a very emotionally powerful kick to them. My personal favorite from the album being, “When You Sang to Me”. The album starts with “Breaker”, which feels like an intense and emotional journey, and definitely one of the most stand-out and mentionable tracks on the album. The short song, “Too Little, Too Late” is a quick, but good listen, standing at a whopping 1:44. There is an even shorter song, “Stolen”, totaling 1:13. All of the songs are well-written, and felt like a lot of time and care was put into each track. The songs are heavily reliant on acoustic and electric guitars, piano, drums, and Green’s light vocals. Many anomalous effects are used in the songs, helping them feel full of life and adding that extra “oomph” that so many artists cannot seem to capture. This gives most of the songs a feeling of positivity. Although these positive songs are very good, there aren’t any songs that are contrasting enough to break up the album, therefore making the whole thing feel a bit repetitive. Most of the songs have similar drum beats and song structures, making the whole album feel as if it were one large song. Although I do enjoy the tracks on this album, I wish there were a few songs a bit different to add some variety. Overall, Young Legs is a very clean and well-written album. Green has certainly succeeded in showing his writing capabilities, but fell a bit short in variety. I would highly recommend listening to it, as it is streaming free on his website, http://anthonygreenschildren.com/.